Christianity, ancient politics and tradition combine and set the stage for an interesting annual Venetian celebration that marks the special relationship Venice has with the sea. The Festa Della Sensa (Feast of the Ascension) is a holy day for Christians in the Roman Catholic tradition, commemorating the day that the resurrected Jesus ascended to heaven. In keeping with the Biblical timeline, the Festa Della Sensa falls 40 days after Easter and is often observed on the closest Sunday. This year festivities in Venice start the evening of Saturday, May 11 and run all day Sunday, May 12. Millions of travellers come to the beautiful canal waterways of Venice to enjoy the richly storied Festa Della Sensa. Ascension Day has long been a public holiday in this city but there is more than religious faith behind this particular festival. Centuries ago, on the ninth day of May in the year 1000, the Slavs of Dalmatia were threatening the citizens of the republic of Venice. It was the Doge Pietro II Orseolo who was able to fight off the marauding invaders, saving the people from oppression on a holy day. Years later, in 1177, the Doge Sebastiano Ziani, successfully negotiated a peaceful resolution to a long-standing contention between the Papacy and the Serenissima Republic, again protecting Venetians from further conflict over the dispute. Pope Alexander II and Emperor Frederick Barbarossa signed a peace treaty that day in Venice. Venice, the Italian city so disarming in beauty, is an engineering marvel of old and new architecture built alongside waterways that channel the Adriatic Sea through an intricate labyrinth of canals. It isn’t altogether surprising this intimate relationship with the sea and her tides culminated in a special occasion. Every year on the Feast of the Ascension a rite of the Wedding of the Sea was celebrated. During the ritual, the Doge would sail his state barge to Sant’Elena, which brought him to San Pietro di Castello Church. There the bishop, on a boat ornamented in gilt, would bless the Doge. After the blessing the Doge would then sail to the channel to where it meets the Adriatic Sea. There he would symbolically declare the Serenissima Republic’s dominion over the sea by tossing a gold ring into the water. Over time the Wedding of the Sea ritual on the Festa Della Sensa faded away, but it was revived in 1965 and is faithfully re-enacted each year on Ascension Sunday now. A flotilla of rowing boats proceed in a beautiful water parade, all organized by the rowing clubs of Voga alla Veneta. The boats gather about 9 a.m. on the Sunday in the Basin of San Marco for a joyful parade to San Nicolò di Lido church. Outside of the church, about 10:30 a.m., the leaders of Venice coordinate a spectacular launch ceremony to recreate the rite of their city’s marriage to the sea. The ceremony is followed by a mesmerizing performance by the Choir Serenissima in the churchyard before Mass is celebrated at 11:30 a.m. While the ceremonial festivities culminate at the church of San Nicolò di Lido, the party continues much longer on Festa Della Sensa. Highlights include exciting competitive rowing regattas, a kite and wind art festival, music, a puppet show, and food and drink in abundance. The Sensa Market is a huge draw for visitors and locals alike. The romance of Venice has drawn the artistic and curious to her for centuries. To celebrate the Festa Della Sensa with Venetians and millions of travellers, or discover the allure of this incredible city any time, contact Avventure Bellissime. 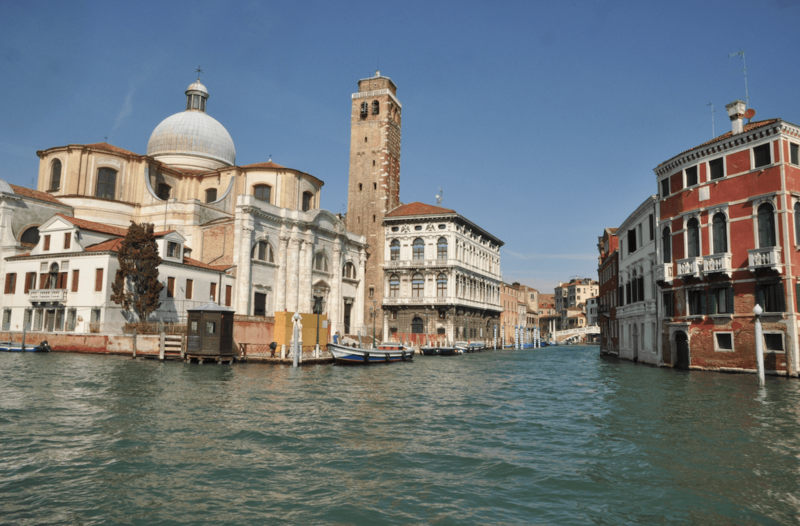 We offer small group Venice Walking Tours, Venice Day Tours, Venice Boat Tours and more.